Winston Churchill is at the lowest point of his career. He has spent a decade in the wilderness, ignored, reviled, branded a warmonger. The next morning, a despondent Churchill receives a visitor at Chartwell, a BBC journalist named Guy Burgess, and the course of his career turns. This book presents a novel exploring his remarkable journey. 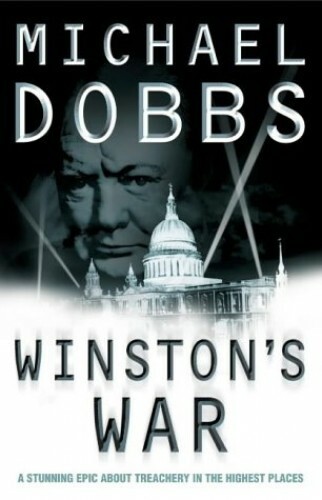 From a bestselling novelist with an unrivalled insight into the workings of power comes a compelling new novel exploring Winston Churchill's remarkable journey from the wilderness to No 10 Downing Street at the beginning of World War II. "Winston's War" is a masterful blending of imagination and compelling fact that places the reader at the right hand of the most momentous events in our history. Saturday 1 October 1938. Winston Churchill has reached his lowest point. Reviled, mocked, accused of being nothing more than a drunken warmonger. Now his arch-rival, Neville Chamberlain, has done a deal with Hitler that destroys everything Churchill has fought for. But the world is about to change. Churchill is visited by a young and unkempt BBC journalist who rebukes him for being defeatist. It proves to be a turning point. Churchill grows to like his young visitor, who rekindles his determination to fight on. What Churchill doesn't know is that the man from the BBC is also a leading Soviet spy. His name is Guy Burgess. Now Michael Dobbs, one of the country's most acclaimed novelists, throws brilliant fresh light upon Churchill's relationship with Burgess.